A product of the Tasman province that is enjoying some of the finest rugby in its history as a result of the amalgamation that first happened when Golden Bay and Motueka joined with Nelson to form Nelson Bays, and then when Marlborough and Nelson Bays combined, Crockett is another product of Nelson College, and a brief stint at Otago Boys' High School. 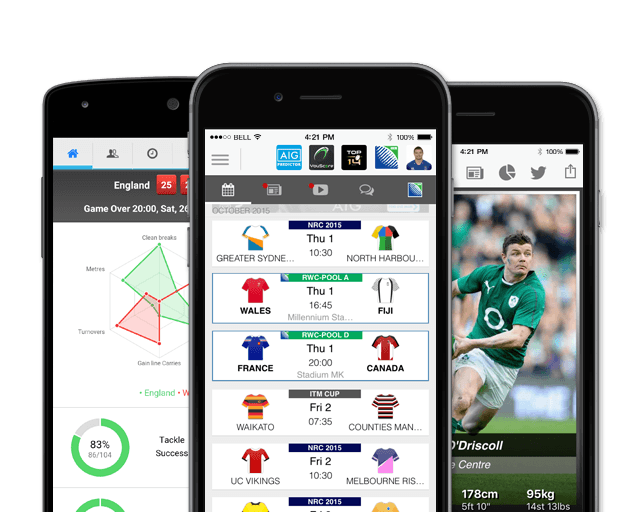 He first came to light in age-grade rugby in 2002 for New Zealand at the Under-19 World Cup and the Under-21 World Cup in 2004. Having began his professional career in 2005 with Canterbury, the Crusaders man has steadily improved his game to become one of world rugby's premier loosehead props. Playing a prominent role in Super Rugby with the Crusaders, Crockett has become known for his destructive scrummaging and dynamic play in the loose, playing a major part in the Crusaders scrum which is arguably the best in the competition. He made his Super Rugby debut in the 2006 season sharing in the title-winning campaigns of 2006 and 2008 and as a result of the latter winning an All Blacks cap in 2009. On the back of his stellar 2011 Super Rugby campaign, which saw him named New Zealand Super Rugby Player of the Year, Crockett made his way back in to the All Blacks squad, having made his test debut vs Italy in Christchurch in 2009. He has lined out for the All Blacks at all age groups, being part of world cup winning under 19 and under 21 sides. He continues to impress and prop up the scrums in the 2015 season as he is selected for the All Blacks Rugby Championship and RWC winning squads. 2016 was no different as the veteran prop continued to perform in Super Rugby and Tests. Crockett headed into the 2017 Super Rugby season as the most capped Crusader having made 170 Super Rugby appearances, the loosehead prop has also scored 10 tries since making his debut back in 2006 against the Highlanders. In April 2017, Crockett became the most capped Super Rugby player of all time, as he surpassed Kevin Mealamu's previous record. In June 2017, Crockett was named in Steve Hansen's squad for the NZ Lions series. Crockett appeared in all three Tests against the B & I Lions, his ability to contribute around the field has seen him notch up 62 caps for the All Blacks, scoring two tries. In February 2018 Wyatt Crockett announced his retirement from international rugby and confirmed that 2018 will be his final Super Rugby season. Crockett retires with 71 cap All Black winning a staggering 94% of the Test matches he was involved in. Crockett has signed a 2-year deal with the Tasman Makos and will play in the Mitre 10 Cup in New Zealand following his International and Super Rugby retirement. 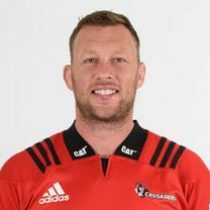 Crockett become the first player to make 200th Super Rugby appearances as the Crusaders won their ninth Super Rugby Title.